We are always hearing how having teenagers is tough! And it can be! Our children are becoming young men and women and adolescence isn’t always easy. There are skin breakouts, hormones,emotions they don’t always know what to do with , and coming to grips with who they are. However, there are wonderful things about having teens that can bless us in amazing ways. These truly can be the “best years” of parenting and bring memories that will last a lifetime! The more intentional you are with your children while they are growing up, the better things will be with your child in their teen years. Start young having conversations, be a good listener, and spend quality time with them. I’m not saying this is a guarantees you a totally easy road, but it makes it more likely. I’m the mom of two teen boys now and my daughter just turned 11. I have to say I am really enjoying these years with them! 1. You can form a great relationship – I know the teen years can cause some tension but this is the perfect time to build a solid relationship, learn the art of forgiveness, and develop a connection that will take you through their adult years. 2. Great Conversation - You can have great conversations with your teens. You can talk about world events, entertainment, spiritual matters and much more! The younger you begin conversations with your kids the more they will engage you when you’re older. 3. You are able to seeing the young man/woman they are becoming - Someday it will take your breath away when you see how grown up they seem and all they can do! You will be amazed at their strength and their abilities. 4. Watching them grow spiritually – This is the time for your children to own their own faith. This is the time you can see God grow them and see how they want to serve him. You will often see them take their first mission trip and/or develop their very own prayer life. 5. Watching them grow in their gifts – Watching your teen grow in their gifts is amazing! There is nothing that moves me more than hearing my son play the piano or seeing my daughter draw her masterpieces. 6. They can be a huge help My 16 yr old is about to learn to drive and I’m excited about how having another driver in the house will help me SO much! Teens can help with your business, help you run errands, help with younger children and do more at home. This can teach them a great deal about real life which they will be living soon enough. 7. Seeing that not everything you taught them is not lost - How many times do we question if anything we have taught our children is getting through? These are the years you are going to see the fruit! Oh sure, they will disappoint you also (we are all sinners) but you will also see that the years of work in parenting these kids are paying off. You will see it when you see your son open a door for a lady or when you see your daughter encourage a hurting friend. It will bless you so much! 8. Sharing clothes/makeup – my daughter and I wear the same size shoe (probably not for long) but we share cute sandals and scarves all the time.She loves to do my nails and we have a great time together. I don’t want to look like a teen but there are certainly things we can share together. 9. Sharing hobbies or interest together – It is easier to find common interests when your children are older. My husband and son love working on cars together, my daughter and I love working on recipes and scrapbooking! Find some common interests with your children and enjoy them together. 10. You savor the time more – there is just something about knowing you don’t have too much time raising your child that makes you appreciate the time even more! Savor these years, enjoy every moment of your time together before they go out and make their own life! You will always be their parent but these are days to cherish!! Don’t let the world tell you that teenagers are a burden or that you should dread these years. That is a lie our culture has sold us, and I’m hear to tell you it’s just not true! Teens still need their parents and you need them. They need their parent’s guidance, wisdom, and love.You need them to grow you like nothing else!! Enjoy this time, in a blink of an eye it will be gone! Angela Richter is a wife to her best friend of 20 years and mother to three! 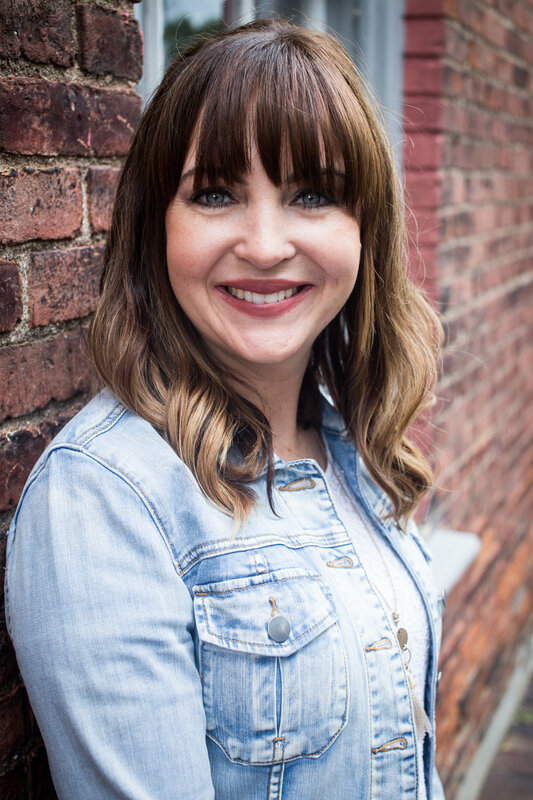 She is the author of Together with Family where she writes about finding ways to connect with your family on a deeper level! She is passionate about intentional parenting and marriage and loves to share practical ways to make family life better! She loves anything regarding homeschooling, writing, reading great books and scrapbooking! She lives in the Northern part of the Bluegrass state and is a Kentucky girl through and through! You can find her on facebook, twitter, and pinterest! Jun 6 5 Things You Can Do to Savor Time with Your Children! Nov 14 10 Thanksgiving Gratitude Activities to Do With Kids!